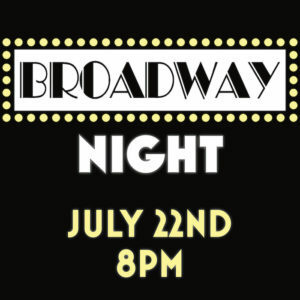 Featuring popular songs from the newest musicals currently playing on Broadway to classic favorites, join us for this all-new, one-night-only event. Our distinctive company of singers and actors will perform material they are personally connected to, providing an evening of both intimacy and thrills. In this stripped-down yet dynamic cabaret, you will experience all the emotions contained inside the stories and songs of Broadway musicals.